All the license plates in British Columbia, Canada, have the motto “Beautiful British Columbia” written above the plate number. After a two-week trip there, I can see why. From snow-peaked mountains to sunsets on the beach, BC is quite a photogenic (and birdy) province. The mudflats in Courtenay, BC at high tide. This trip was not just for birds, but it would have been nonsensical to not take advantage of the birding opportunities nearby. We stayed in Vancouver for a few nights, and I was able to visit Stanley Park in downtown Vancouver to get some of the common birds, like Chestnut-backed Chickadee, Bushtit, and Wilson’s Warbler. Northwestern Crows were everywhere around the park and in the city. On the way, I saw a group of Pelagic Cormorants as well. The chickadees and cormorants were both life birds, so the trip was off to an excellent start. We also got up to Whistler, BC, higher up in the mountains and further from the coast than Vancouver. 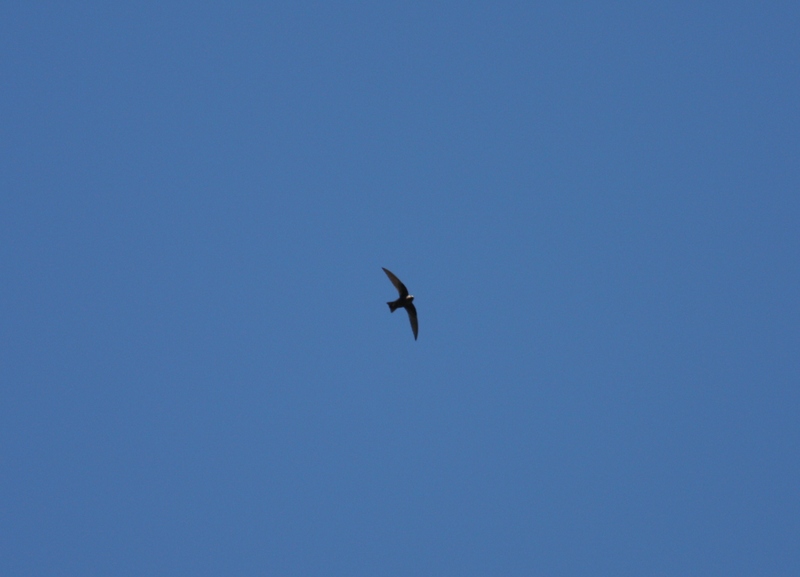 Just after stepping out of the car I stumbled into two more lifers – Black Swift and Vaux’s Swift. 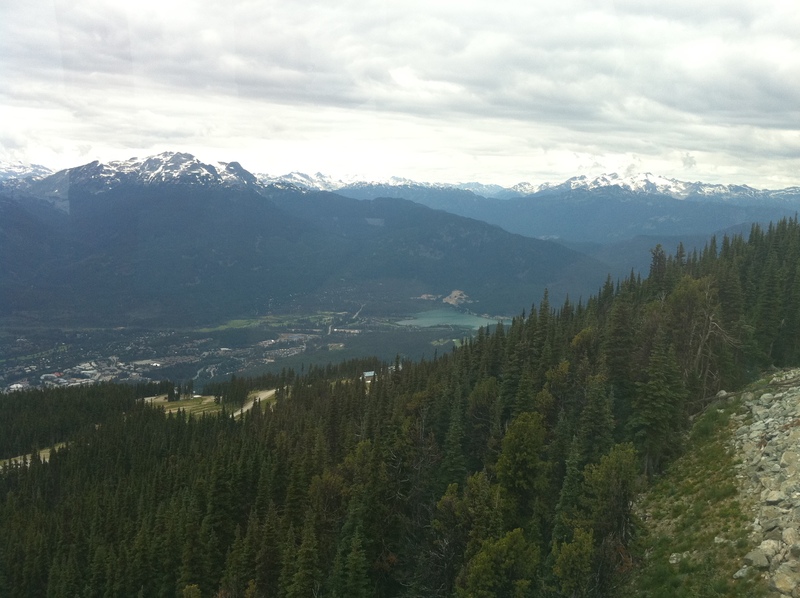 We then took ski lifts up to the top of Whistler Mtn and nearby Blackcomb Mtn. Unfortunately, I couldn’t locate any ptarmigan or rosy-finches, but did come across a group of Clark’s Nutcrackers on Whistler and a flock of assorted passerines on Blackcomb. A Black Swift soars over Whistler Village. The next day we took the ferry over to Nanaimo, on Vancouver Island. 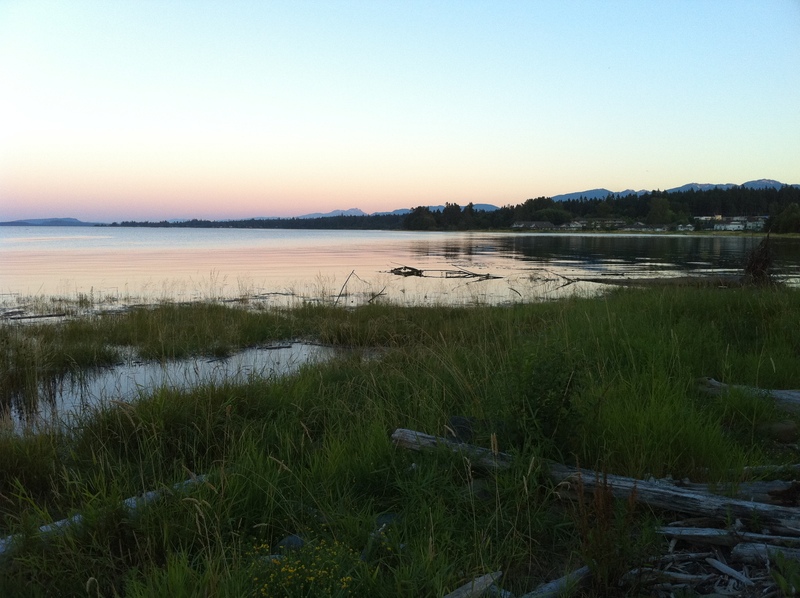 We stayed in the Courtenay, BC area and there were some decent birding spots nearby the hotel. I kayaked into the bay and birded the mudflats as the tide went out. It was quite a cool experience to sneak up on shorebirds in a kayak. Species included Lesser Yellowlegs, and Western, Least and Spotted Sandpipers, I also got close to an adult Bald Eagle surveying the waters. 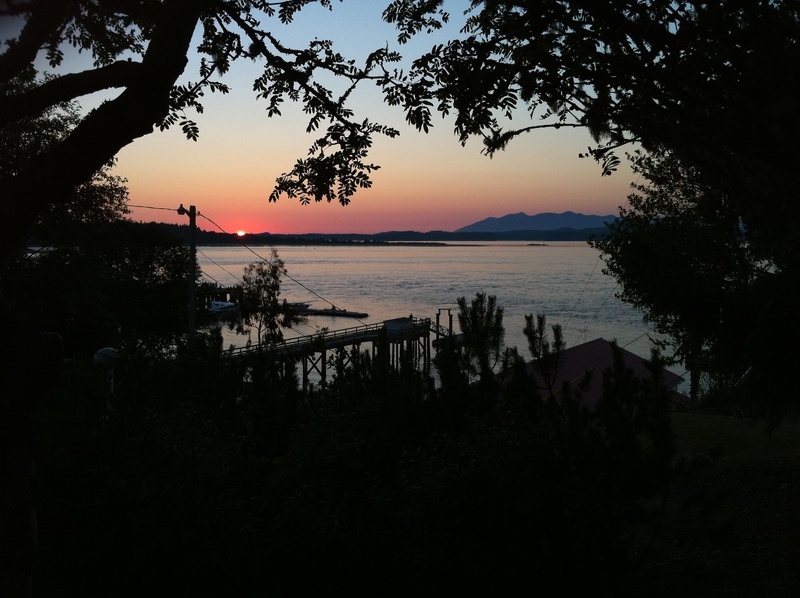 After a couple days in Courtenay, we drove 4 hours west across Vancouver Island to Tofino, BC. 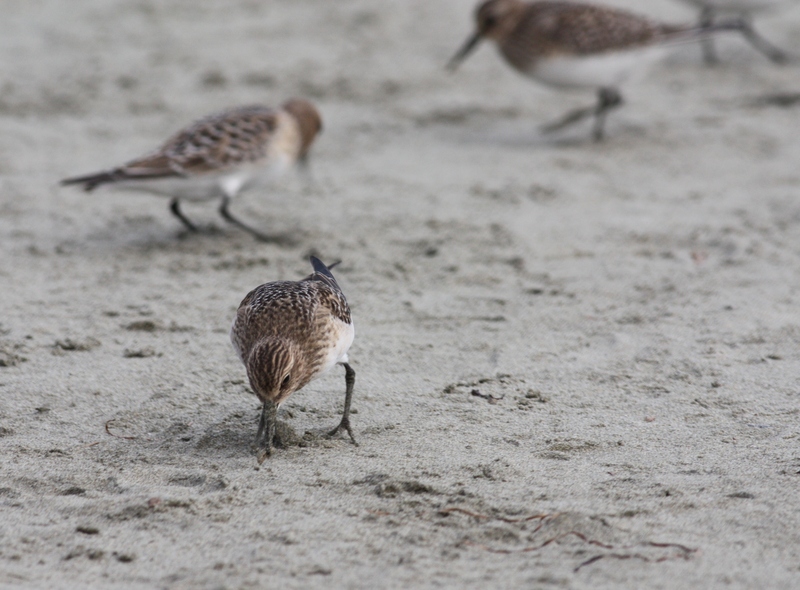 On the outer coast, Tofino is a great birding area, particularly since it is right outside Pacific Rim National Park. Our hotel was the Tofino Bird & Breakfast. That’s right, Bird & Breakfast. During our three full days in Tofino I would be going on birding tours with the B&B’s owner, George Bradd, so I was particularly excited for this stretch of the trip. First up: pelagic birding. 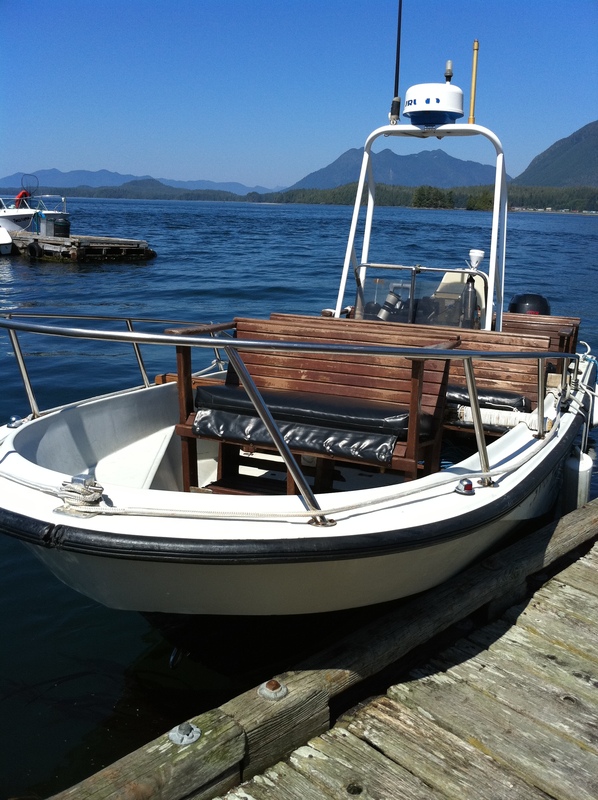 Our boat for the pelagic tour. It was August 14, halfway through our trip, and I was heading out to bird waters off the continental shelf on a small 26-foot boat with a few other intrepid birders. Our leader for the day was Adrian Dorst, a well-known Tofino birder, and the sea conditions looked promising. We headed out from the dock and sped out toward the open ocean. 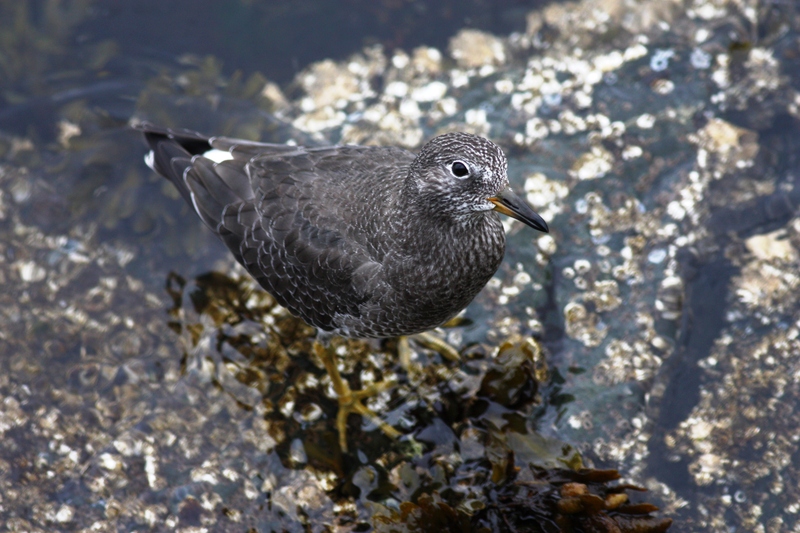 Stopping at some rocky wave-swept islands on the way, we found some nice shorebirds – Black Turnstones and Surfbirds were on the rocks, and Harlequin Ducks rode the fast-moving waves. 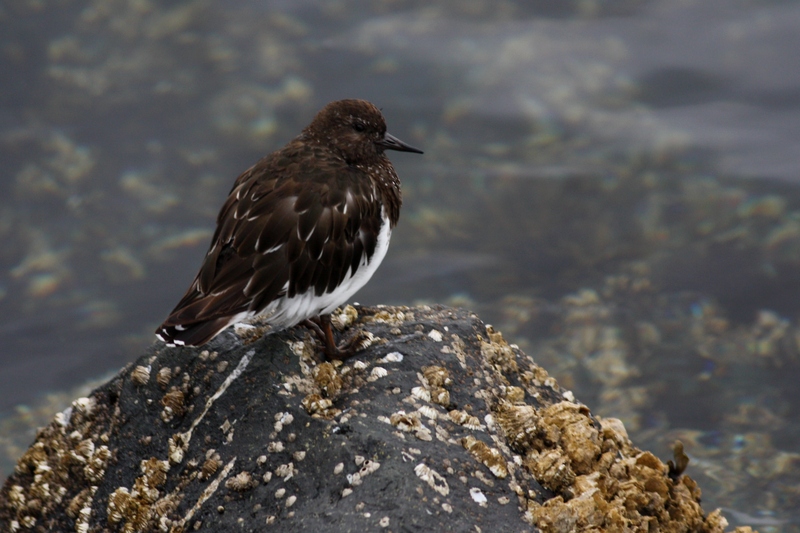 A Black Turnstone in Victoria, BC (later in the trip). As mile by mile of ocean went by, the sea just kept getting calmer. We didn’t see as many birds as some hoped to, but the ones we did find gave excellent looks. Plus, they were all lifers for me, so I was a happy birder! 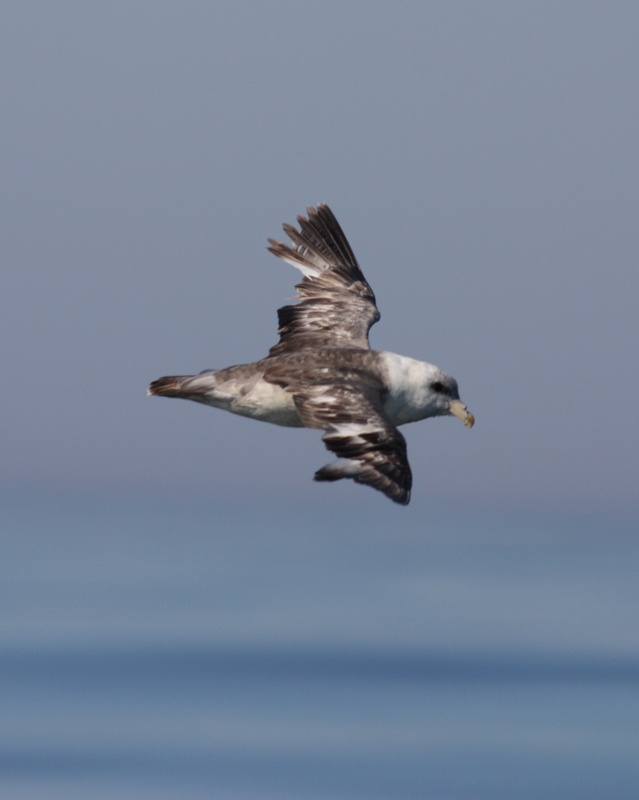 Most numerous were Sooty and Pink-footed Shearwaters, and Northern Fulmars. We did run into one distant Black-footed Albatross, slowly beating its wings as it floated over the waves. 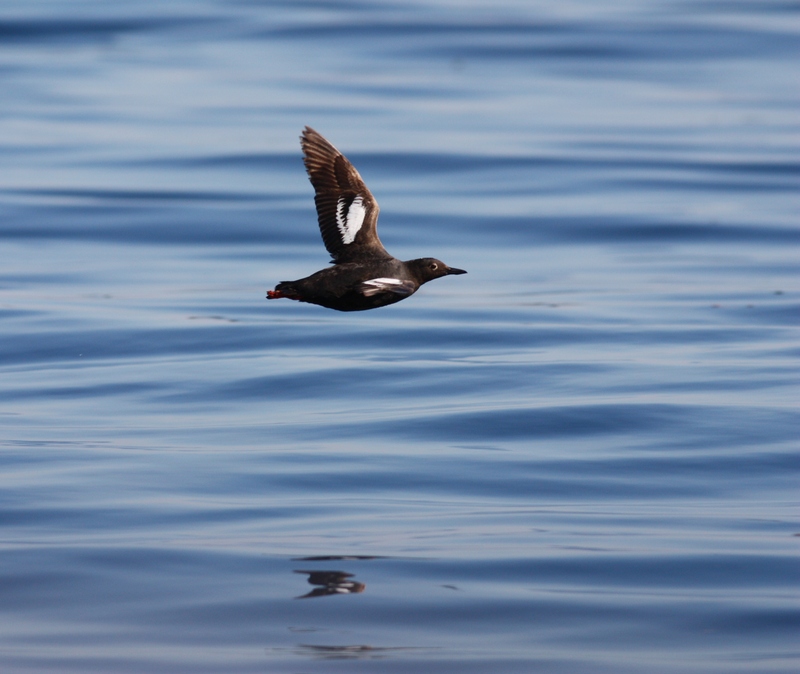 Alcids were pretty nice also, as we found lots of Common Murres, Rhinoceros Auklets, a whole bunch of Cassin’s Auklets (almost 100! 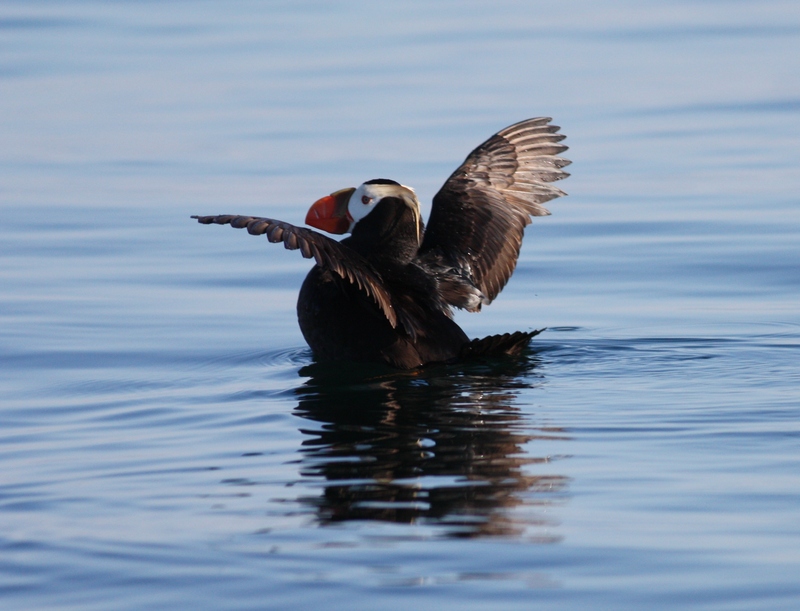 ), and the alcid highlight, a single Tufted Puffin in breeding plumage. 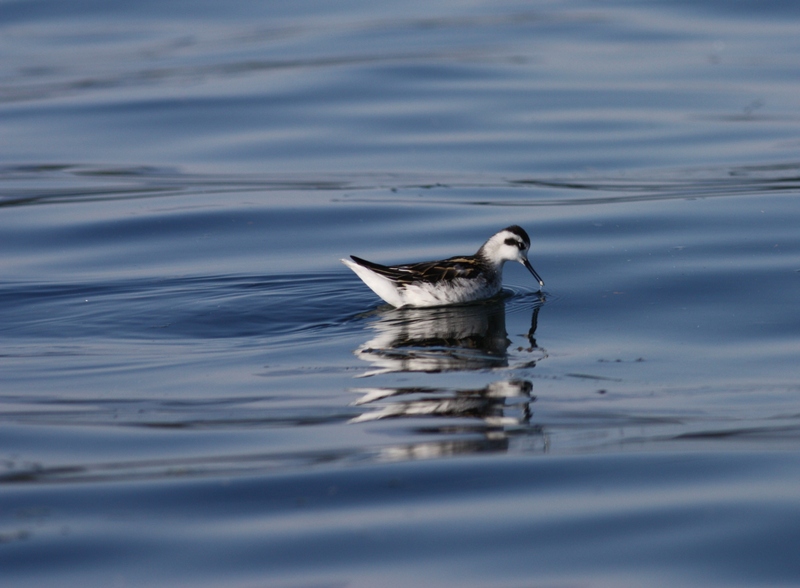 There were also several dozen Fork-tailed Storm-Petrels and both Red and Red-necked Phalaropes. 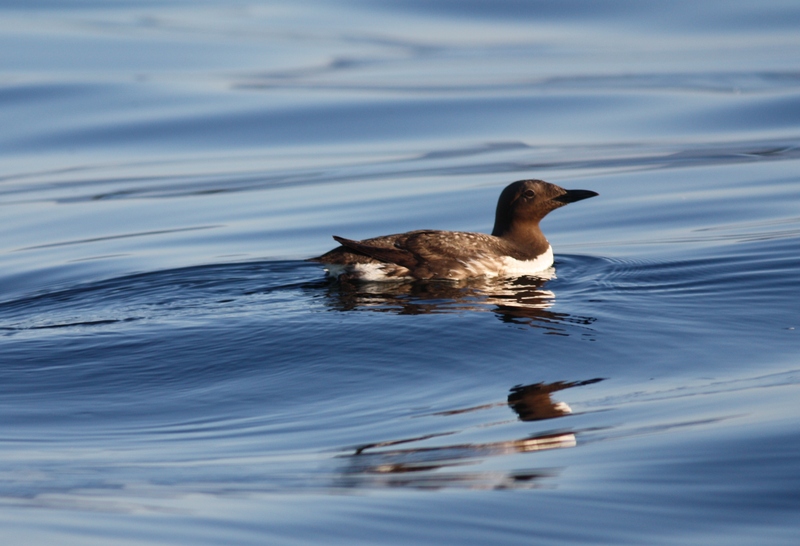 A Common Murre off Tofino. 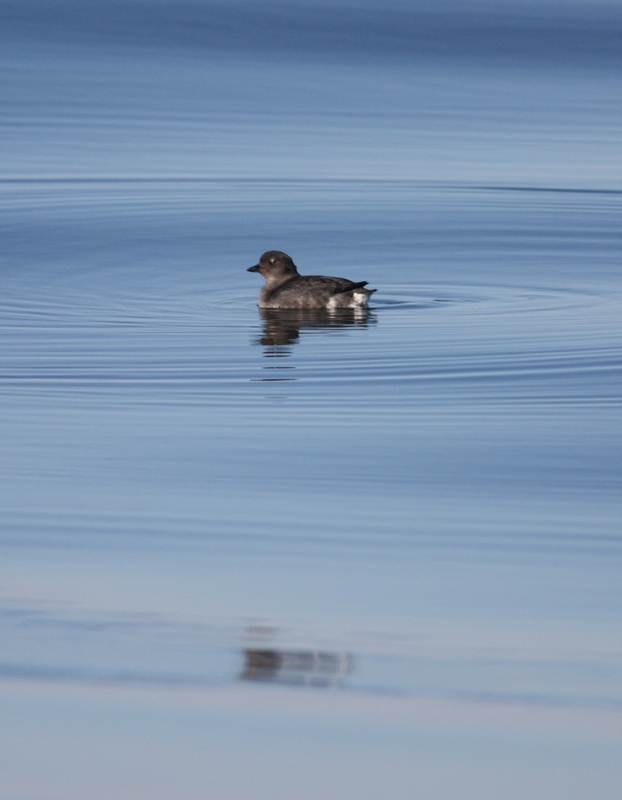 A cooperative Cassin's Auklet. Most of them were either singles or doubles, but there were tons. A very light Northern Fulmar. 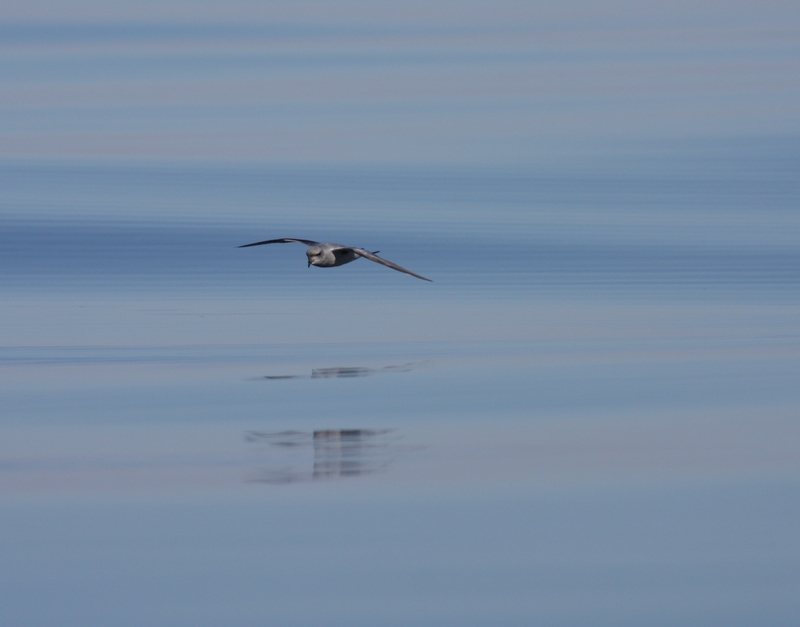 One of lots of Fork-tailed Storm-Petrels. After a few hours at sea, we visited Cleland Island ecological preserve and found many more birds. Both Brandt’s and Pelagic Cormorants, Black Oystercatcher, lots of Heermann’s Gulls, Marbled Murrelets, Pigeon Guillemots, more Tufted Puffins, and the highlight, multiple Wandering Tattlers. After getting back to the Bird & Breakfast, I took a walk along the nature trails in back and came across a Townsend’s Warbler, yet another lifer. Overall a great day. 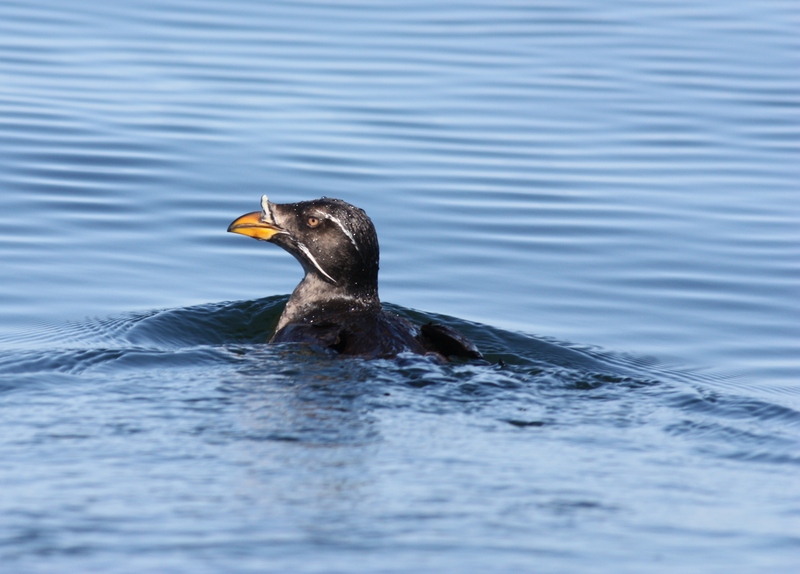 A Rhinoceros Auklet next to the boat. The next day I went on a whale watch with the rest of the family. 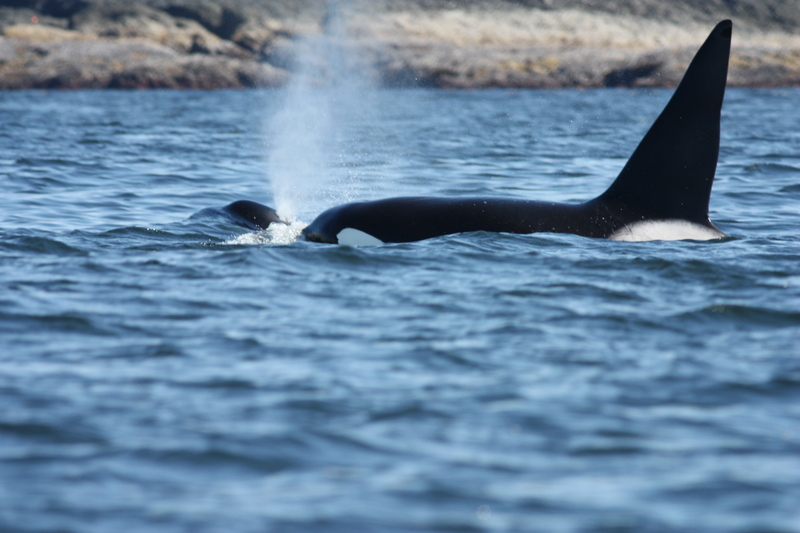 We saw a few Humpback Whales as well as a mother-son pair of Killer Whales (or Orcas), a relatively rare sighting near Tofino. In the afternoon I went on a tour with George, a Seabird Voyage, to more seabird-filled islands just offshore. I didn’t see any new birds, but did get much better looks at birds seen the day before. 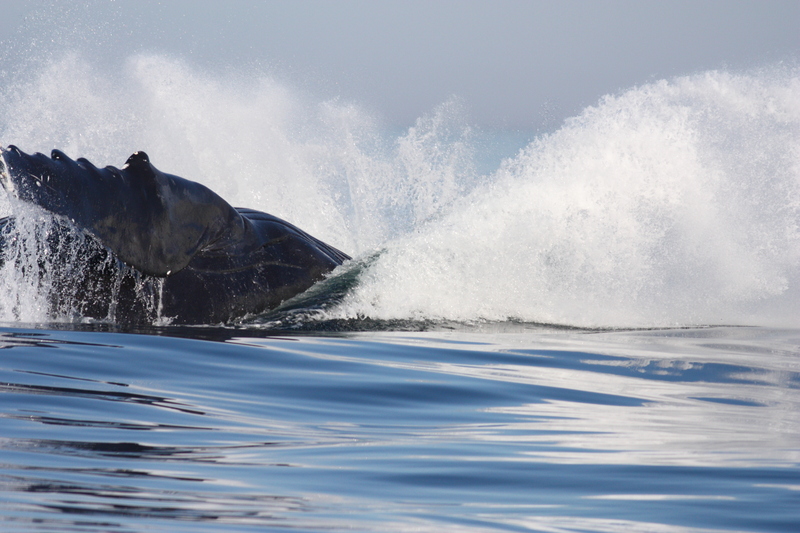 Humpbacks make big splashes when they breach. We saw a whale make a full breach (jump totally out of the water), but I didn't get a picture. 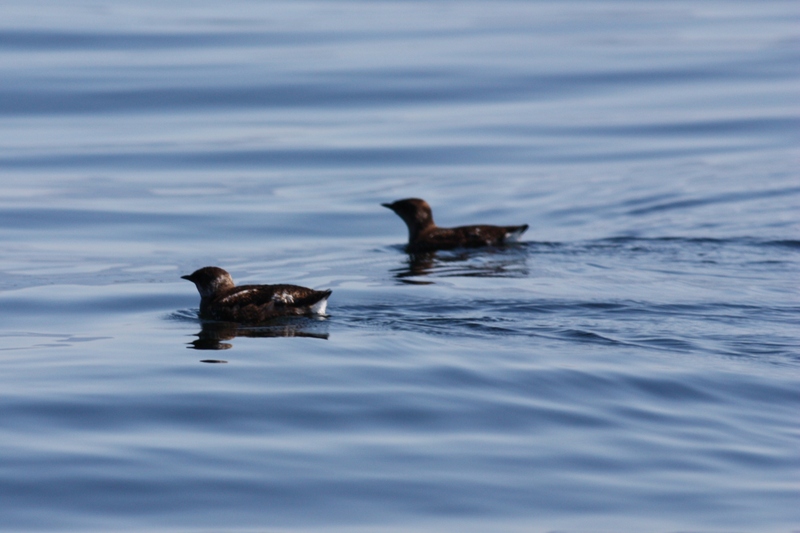 Adult and juvenile Marbled Murrelets. 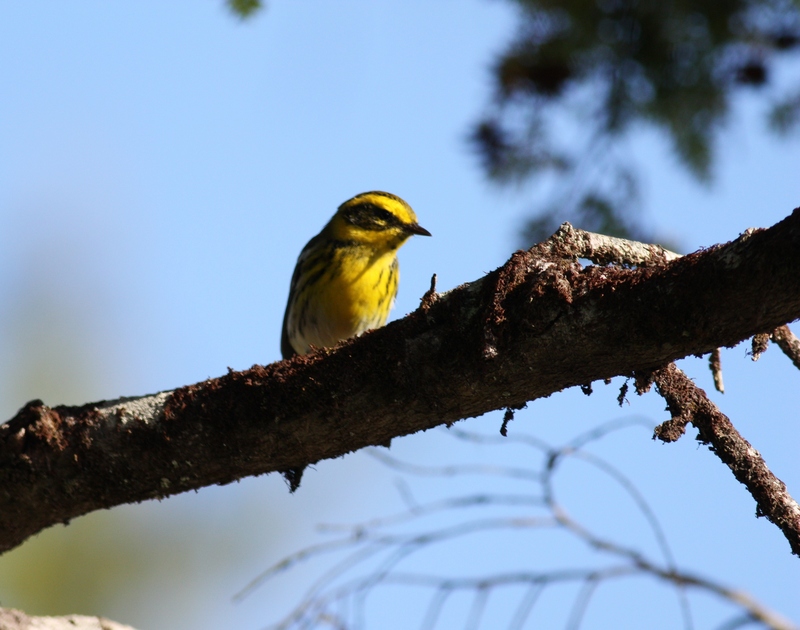 On our last full day in Tofino, I headed up into the mountains of Vancouver Island to get some forest birds. I had high hopes to see some classic northwest forest birds, but after a couple hours it became clear that, just like back east, mid-August is not the best time to look for breeding woodland birds. It was very quiet, and although we did find MacGillivray’s and Black-throated Gray Warblers, Band-tailed Pigeons, Olive-sided, Hammond’s, and Pacific-slope Flycatchers, and, weirdly, a Spotted Sandpiper, it wasn’t looking good for Varied Thrush, Sooty Grouse, and Red-breasted Sapsucker, birds I was really hoping to see. Finally, we did find one juvenile Red-breasted Sapsucker at a rest stop off the local highway (and some Western Tanagers), but the other two targets didn’t materialize. 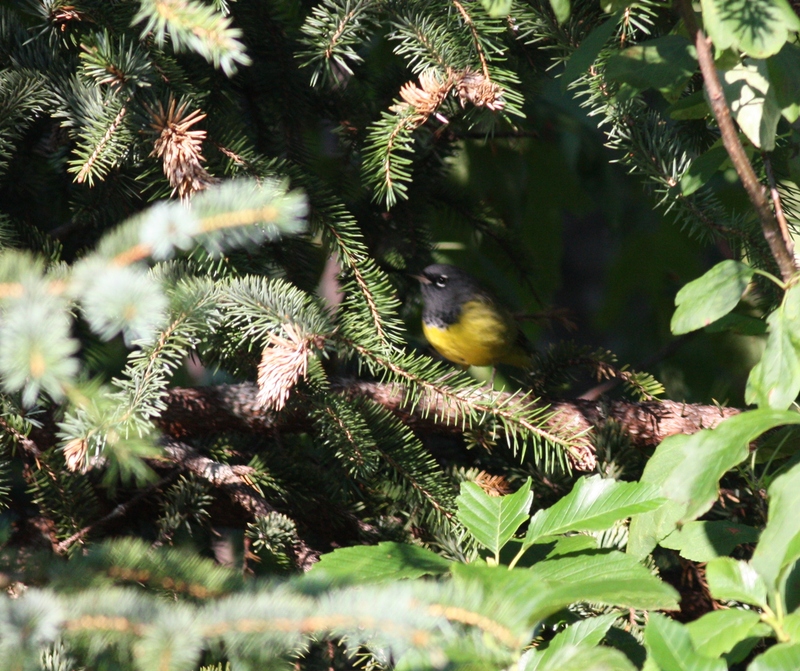 A poor picture of a very nice MacGillivray's Warbler. Our last evening in Tofino, I made a stop at Chesterman’s Beach, just outside of town, because Baird’s Sandpipers had been reported there, and I had never seen any. 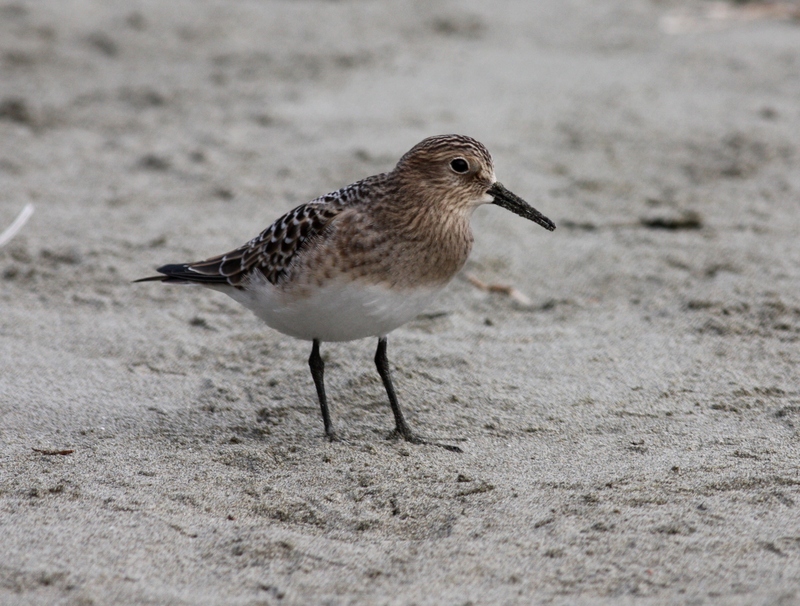 It was super foggy at the beach, and as I scanned through the dozens of “peeps” (small shorebirds) on the sand, I came across one Baird’s in a flock of Least Sandpipers. Success! And better yet, it was life bird number 500, so even more reason to be happy. After soaking in that one individual, I looked to my right to see what other birds were on the sand, only to find a flock of about 12-15 Baird’s foraging together! As I walked along down the 1.5-mile beach, I came across more lone Baird’s among Westerns and Leasts. I guessed there had to be between 20-30 of these large peeps total. A Least Sandpiper. The smallest peep, very brown, with yellowish legs. A Western Sandpiper. A bit larger than Least, less brown, with a longer, slightly decurved bill and rufous scapulars (on the back). 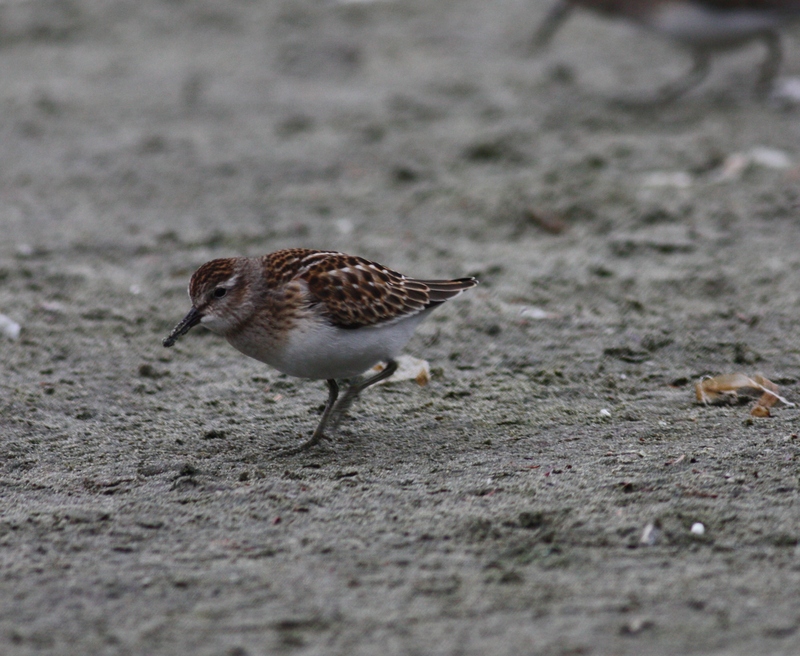 One of many Baird's Sandpipers. Larger than Least, with proportionally much longer wings and a well-defined buffy-brown breast band. You can see the Baird's very long, crossed wingtips in this picture, which make it easy to distinguish from similarly-colored Leasts without a direct size comparison. More Baird's are in the background. After Tofino, it was on to our last stop of the trip, Victoria, BC, at the very south end of Vancouver Island. Victoria lies at the beginning of the Saanich Peninsula, probably known best in the birding world as being the only place to find Sky Larks in North America. Relatively common in the Eastern Hemisphere, the Sky Lark was introduced to the Victoria area about a century ago, with its population peaking around 1965 at over 1000 birds. Now there are probably less than 200 birds left, and due to changing farming practices and predation, the Sky Lark may not be extant in the continent for much longer. Of course, I had to go out and find one. I went out to what was supposed to be the best spot for the larks, the bulb fields around Vantreight Farms along Central Saanich Rd. Despite scouring the fields for an hour, all I could find were lots of Savannah Sparrows. Later in the day, though, I went back for a second try. More sparrows, but no sign of any larks. There was supposedly another relatively good spot nearby, so I decided to try there, but I didn’t know exactly where to look, and the Sky Larks weren’t singing. Luckily, someone forwarded me an email from late July describing where a person found a singing lark. It was right near Vantreight Farms, but in the field south of the one I had been looking in. We went back, but the field seemed as lark-less as the others. Suddenly, I heard a Sky Lark calling from inside the tall grass, and then it took off and flew away from us, landing further into the field. Finally, after 3 hours of searching! It wasn’t a good look, and the lark stayed hidden, but it was a look nonetheless. 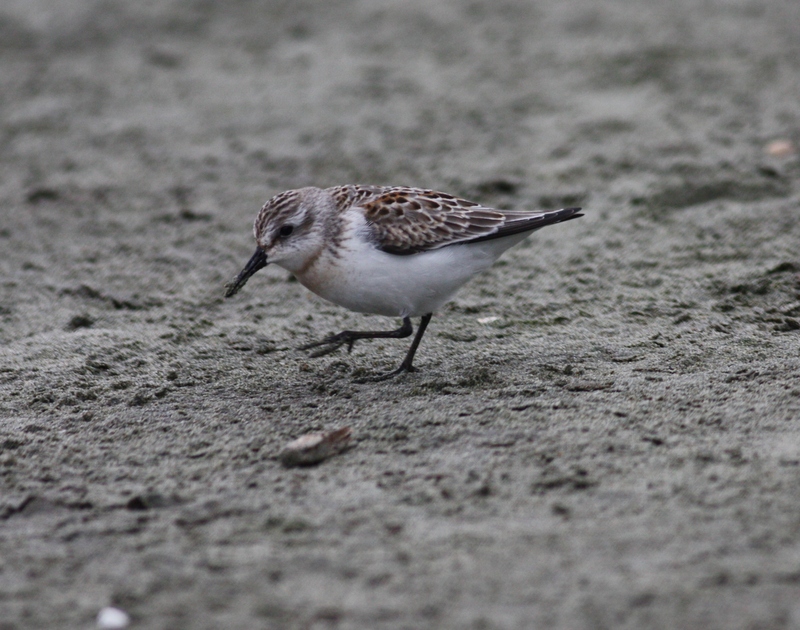 With only one full day left on the island, I birded the Victoria waterfront with two local birders. It was cloudy and pretty cold for a summer morning (less than 60 F). We went to most of the top local coastal spots, and I got some great pictures of shorebirds, including a Wandering Tattler at Ogden Point (also see the turnstone and surfbird photos toward the beginning of the post). Far-off scope views of the birds I had seen so close by in Tofino took some getting used to, especially the alcids, but it was a fun morning. 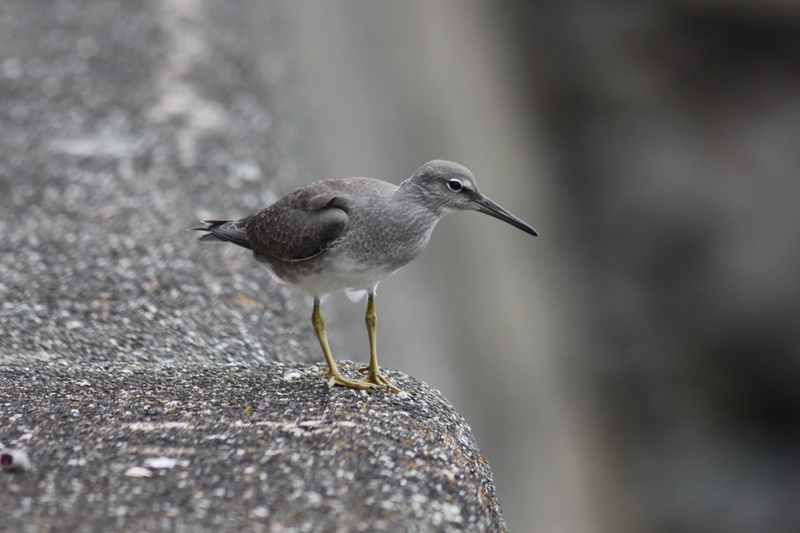 A sought-after bird, the Wandering Tattler, on the Ogden Point breakwater. 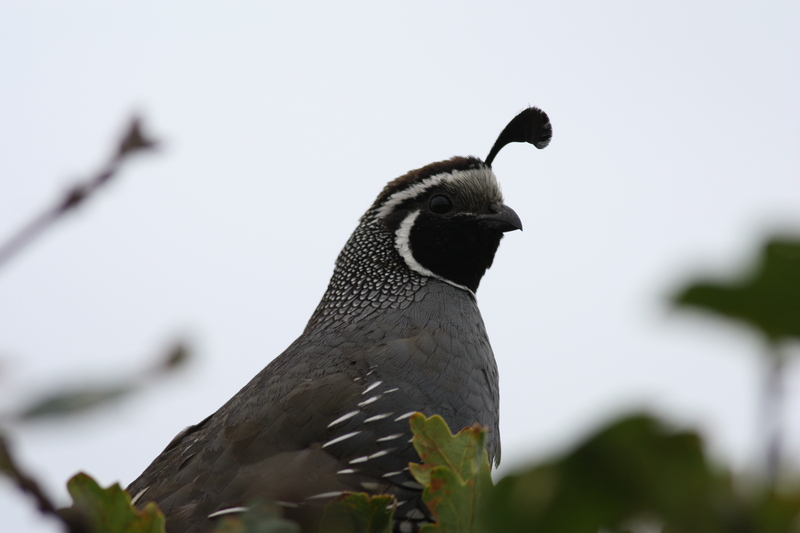 A California Quail acting as a sentry for his family hiding in the bushes below.